Its been another pretty gray day across the Valley thanks to the all too infamous 'wedge'. Clockwise flow around high pressure centered over New England has helped bank moist, Atlantic air up against the mountains, leading to lots of cloud cover and an overall pretty cool day. 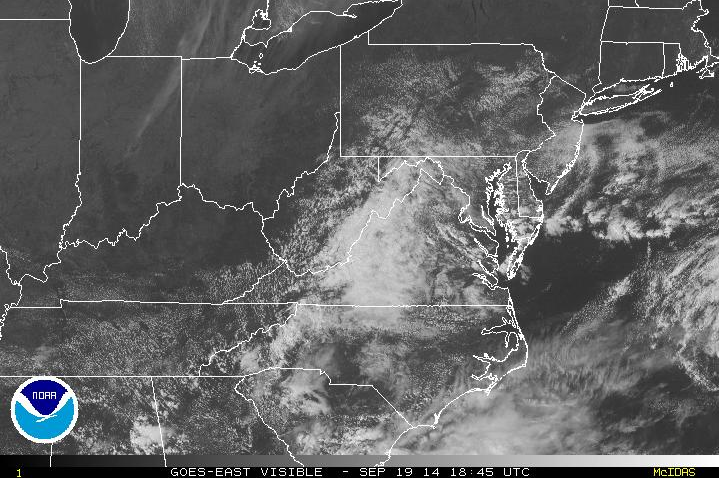 This wedge of cloud cover can be seen clearly on visible satellite. The northern Valley was lucky enough to have a few breaks in cloud cover thanks to a bit of dry air punching south out of the northern Mid-Atlantic. Clouds will hang around overnight with areas of patchy fog developing thanks to lots of low level moisture hanging around. 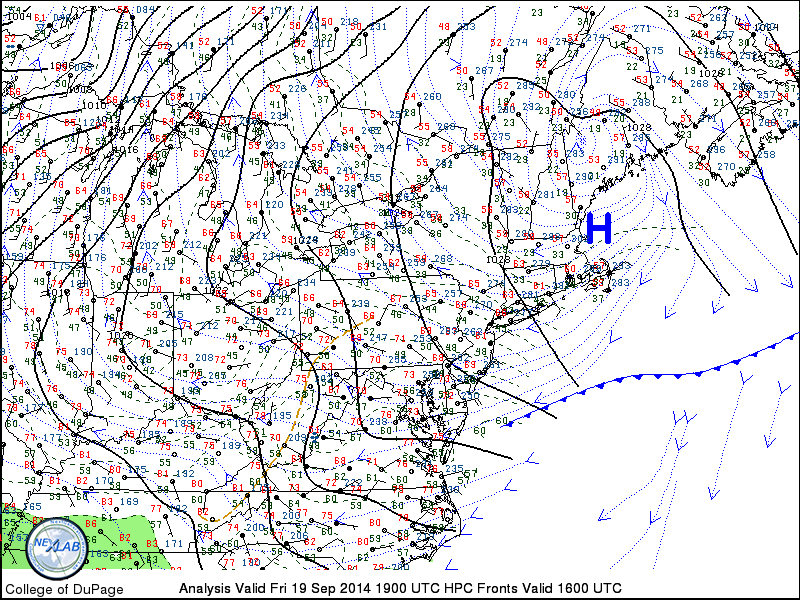 An approaching cold front will help kick high pressure off the coast, weakening its influence for the day on Saturday. This will break up clouds and lead to a very nice day. Winds out of the south ahead of the front will also help bump up temperatures, likely topping off in the upper 70s. It'll be very nice again on Sunday with temperatures spiking into the low 80s. Clouds will build during the late afternoon as the cold front approaches, eventually bringing a few showers late in the day. It will be out of here by early Monday morning. setting up a picture perfect week. If you enjoy sunny weather with highs in the low 70s and cool, window-opening nights...next week will be the week for you. A+ fall weather. * For the record, I don't think this is our last spell of warm air. There are indications in the longer range that we may have an above average end to September-start to October.